Photographer Kaushik Vijayan, an amateur photographer who works in finance in Saudi Arabia, captured one of the most amazing pictures of the giant multi coloured squirrels in the Indian forest. 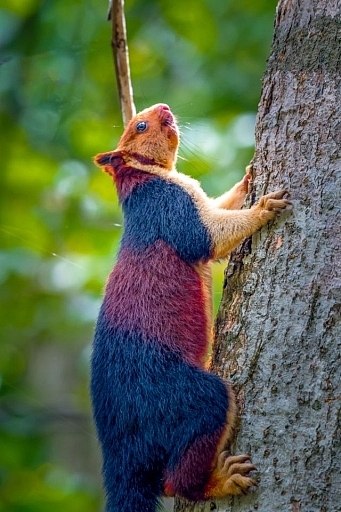 These multi coloured giant squirrels can grow up to 36 inches in length and can mainly be found in the Indian jungle. 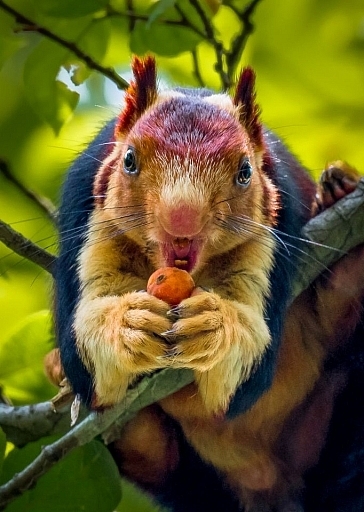 The response I see from the people on social media when I post a picture of the giant squirrels fuels my enthusiasm to go out there. 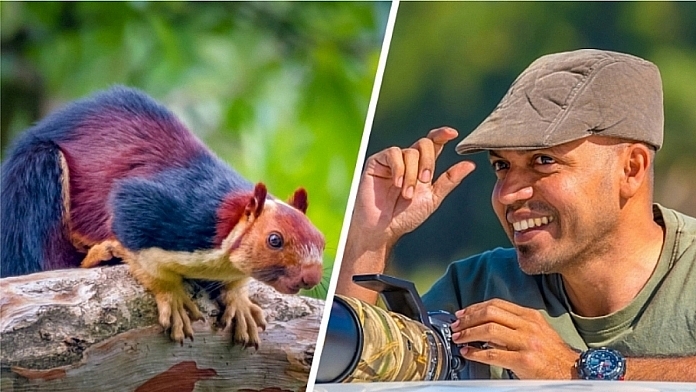 “It was when I shared some of the photographs on social media many of my friends and followers came to know about the Malabar Giant Squirrel and they were all amazed by its appearance. “Up until that point I had never heard about a squirrel like that or seen one. 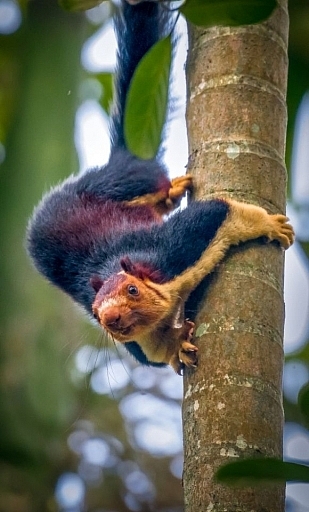 These squirrels are double the size of it's grey and red cousins, kind of takes away their limelight. 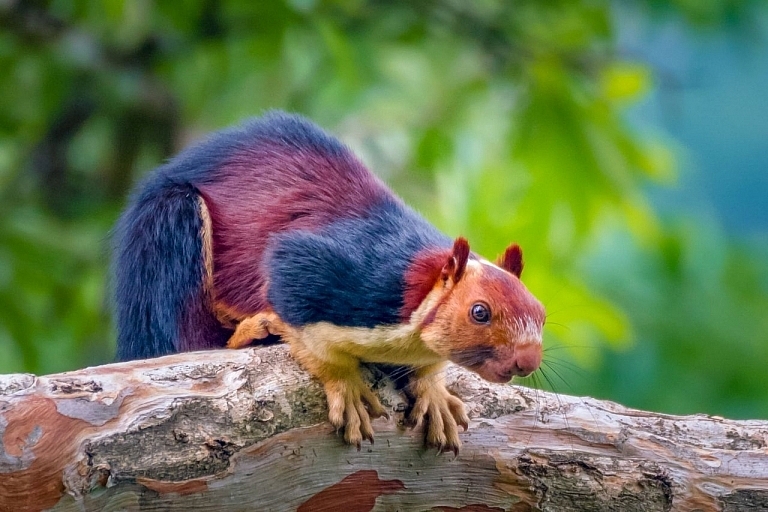 They are considered to be a large tree squirrel species in the genus Ratufa native to India according to it's Wikipedia page. Check out more of these images the photographer captured. You can follow Kaushik Vijaya on Instagram.